We are making plans for an exciting new project which will look at the way violence against women and girls has shaped local history, the things that have not changed much and the phenomenal achievements of local women who have often been left out of the dominant narrative. Further details soon. We have written to all the Lewisham Labour Mayoral Candidates asking them to agree to minimum standards for tackling violence against women and girls in the borough. In November 2014 I was part of an multi platform exhibition in Deptford Lounge which looked at community responses to the issue of violence against women and girls. I helped curate the exhibition, ‘the Naming of the Dead’, as part of a local group, and created the multimedia piece above as a reminder of the exhibition. Women against violence expressing solidarity. The piece is of the shoes that were the main feature of the exhibition, local musician Lucy Cait singing and feminist activist, Heather Harvey, reading ‘A letter to my father’. Join us in Deptford Lounge between 10am and 4pm on Saturday 29th November 2014. 25 November is the International Day for the Elimination of Violence Against Women. It is recognised as the day that the Mirabal sisters were brutally murdered and, across the world, communities unite in activism to tackle the broader social issues as well as individual instances. Currently in the UK more than two women a week are killed due to male violence. The Counting Dead Women Project is campaigning to have this recognised as part of a broader problem of male violence against women and girls. 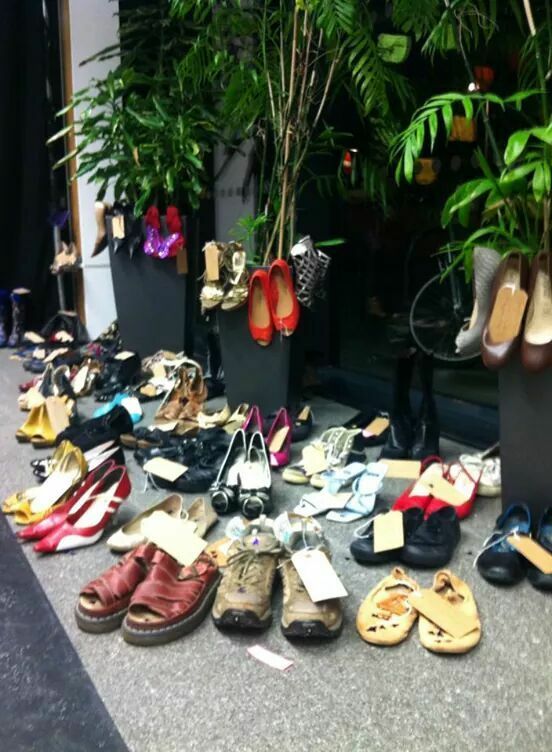 With donations of shoes from local people and community groups we have set up a display of shoes in Deptford Lounge; one pair per woman killed this year. This will be displayed on Saturday 29 November 2014 from 10am to 4pm. We want it to be a stark visual reminder of the enormity of the problem and a catalyst to get local people talking about what the broader solutions are. But we also want to support local people to discuss how best to solve the problems of violence against women and girls. All week we have been sharing the voices of local men talking candidly about their views on how best men can act as allies in challenging other men who think violence is acceptable. With support from library staff we have collected some books that we hope will contribute to broader public education on the issues. From 2.30 pm local artists and performers will be sharing artistic works on the topic of violence against women and girls and celebrating the many who survive violence as well as mourning those who have not. Join us on 29 November at Deptford Lounge! We are holding a day of free activities at the Deptford Lounge on 29 November from 10am to 5pm – including speakers and performers from 2.30pm. 122 women have been killed through suspected male violence this year. That’s one woman dead every 2.49 days. At “The naming of the dead” exhibition one pair of shoes will represent each woman who has been killed by suspected male violence this year. As Karen Ingala Smith states on her #countingdeadwomen blog male violence against women is connected. It’s systemic. It’s symptomatic of a wider problem. Until we start to openly acknowledge and talk about it, it won’t stop. This exhibition is a startling visual reminder of the number of women who fell victim to male violence – often by someone they knew or loved. We are very excited to have local women including a spoken word poet, and singer-songwriter Lucy Cait who will be performing with other presenters from 2.30pm. 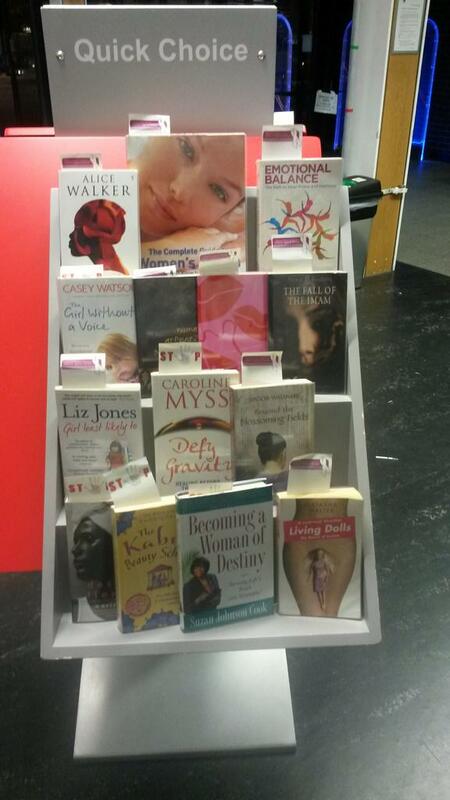 For those who cannot attend the events on 29 November, the interviews with male allies and a display of library books celebrating the lives and talents of women will be available at the Deptford Lounge from 22 November.